Dhaka, 29 Dec, Abnews: India has mobilised around 60,000 police and paramilitary troops in a sensitive border state ahead of the publication of a list of citizens it says will be used to detect and deport illegal immigrants - mainly Muslims - from neighbouring Bangladesh. Indian prime minister Narendra Modi’s Hindu nationalist Bharatiya Janata Party (BJP) took power in the eastern state of Assam for the first time last year, vowing to act against illegal Muslim residents who take away jobs from local Hindus. A spokesman for the home affairs ministry in New Delhi had no immediate comment. To be recognised as Indian citizens, they must be able to produce documents proving that they or their family lived in the country before 24 March 1971. Tens of thousands of people fled to India from Bangladesh during its war of independence from Pakistan in the early 1970s. 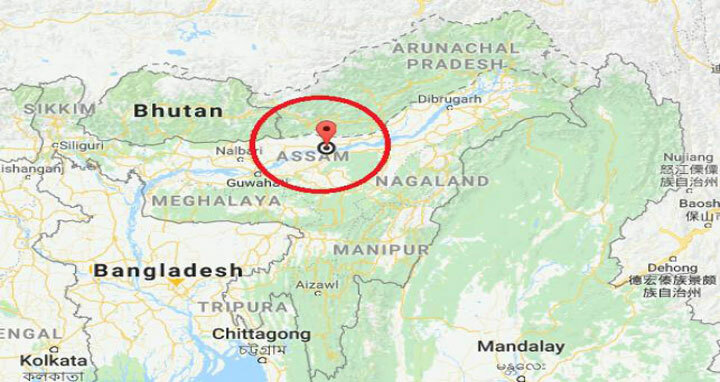 Most of them settled in Assam, in India’s north-east, and the neighbouring state of West Bengal, where there are similar demands to send back illegal Muslim immigrants. Modi’s administration also plans to nearly halve the number of years Hindus and other minorities from the neighbouring countries need for naturalisation to six years, in line with a long-held belief on the religious right that India is the home for all Hindus.